Located on the beautiful southwest Florida coast, this gateway to Charlotte Harbor offers over 35 square miles of pristine estuary. Famous as the tarpon capital of the world and recognized as the prime back country snook habitat in Florida. 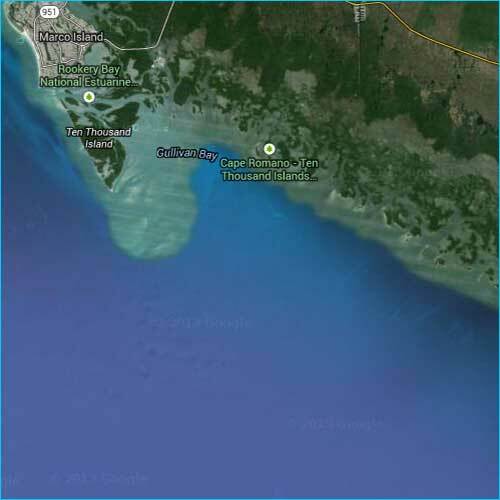 Fishing can be in the mangroves, along the huge grass flats or in the near shore Gulf of Mexico. Tarpon, snook, redfish, seatrout, pompano and more are available most of the year. Gasparilla Island offers a t-shirt and sandals life style while sporting the finest dining, super beaches and a quiet laid-back atmosphere. Great fishing and all the in-town amenities are just two of Sarasota's attributes. 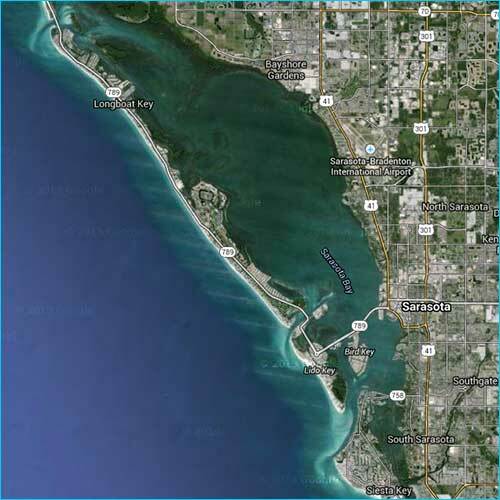 Tarpon, snook, redfish, cobia, seatrout and more are available in the waters surrounding the famous barrier islands of Siesta Key, Lido Key and Longboat Key. A short boat ride puts you in the fish quickly and gives more opportunities during a trip. Shallow oyster bars provide super locations for game fish to attack their prey and you can be there waiting for them. Close by marinas and restaurants with terrific views make any day on the water worthwhile. Pine Island Sound sports the longest continuous grass flat in the state. 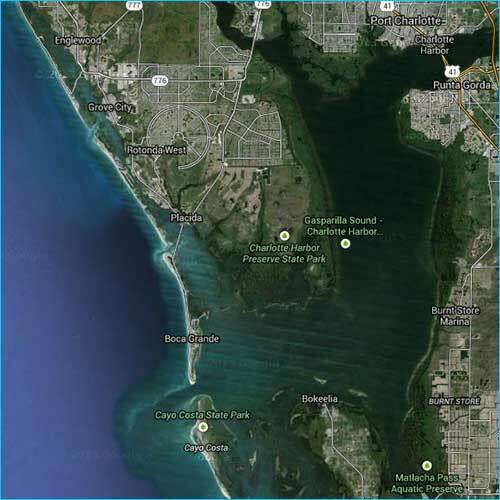 Bordered by the Captiva Islands, Cayo Costa and Pine Island this 50 square mile estuary holds all the species found on Florida's west coast. Imagine being in a place as famous as Cabbage Key or Useppa Island and finding miles of uninterrupted mangroves and flats teeming with fish. Only here are there islands with almost no developement and coconut trees right down to the beach. Not surprisingly, it takes a bit more time to get to this remote location, but the wait is worth it. 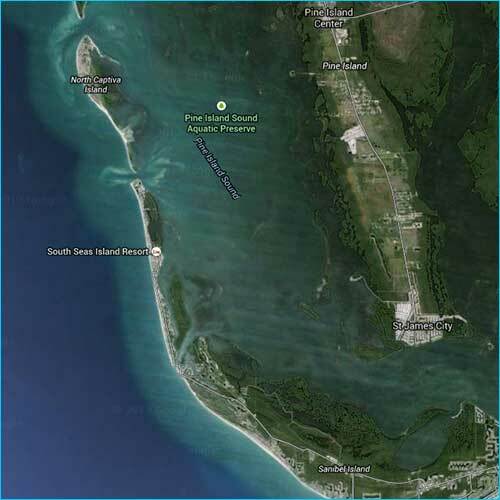 The northern edge of the Everglades National Park contains of 11,000 unihabited islands that protect thounsands of fish, birds and aquatic mammals from the ravishes of man. This is the scenario you face when you fish out of Everglades City. I fish here only in late winter when the tarpon come into the small bays and basins to feed. This is the place to find "laid-up" tarpon we call sleepers floating near the surface. If conditions are right it is the most spectacular fishing in Florida. Plenty of snook are also present around the mangroves and redfish and seatrout are found just about everywhere. Great fishing and a great environment are what it's all about.